It was a long flight to this Court of Honor, but on Saturday four new Eagles landed. Four Boy Scouts from Fairfield’s Troop 10 achieved the highest rank in scouting in a ceremony held at First Presbyterian Church. 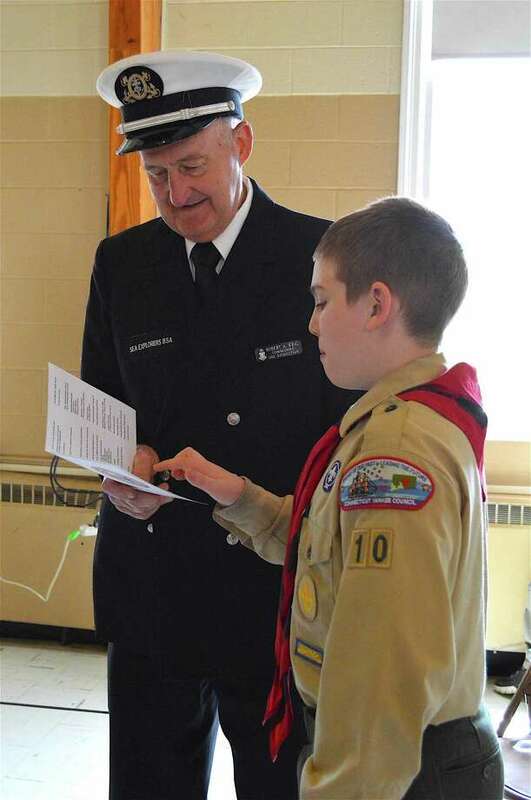 “It took a lot of work, but it was all worth it,” said Eagle Thomas Clancey, who joined fellow Eagles Robert Maron, Jares Sales, and Matthew Wojnoski, in a ceremony that included friends, families and several town officials. “I think this highlights the exceptional dedication and commitment of the scouts that achieve Eagle,” noted Phil Clancey, scoutmaster. “That’s a tremendous accomplishment,” said First Selectman Michael Tetreau, who presented proclamations honoring the four.